I’ve had some wonderful experiences at Hubbell & Hudson as well as some not-so-great ones, but I had high hopes for Hubbell & Hudson’s latest concept, Cureight. I had been highly anticipating my reservation for over a month, so when the evening finally arrived, I was really excited. I made sure not to eat much that day in preparation for the eight course meal ($135 per person). Shortly upon our seating, Adam introduced himself and prepared us for our “culinary journey.” Adam is perhaps one of the best waiters I’ve ever had. He was personable, yet professional, and is a skilled communicator. His service was superior and was an integral part of the evening’s overall experience. The dining area is intimate and elegant, and you are seated where you can see Chef Austin expertly preparing each course. You have the option of adding on alcohol pairings with each course. We chose the exotic pairing ($75) which included wine, beer, and cocktails. This was a great start to our meal. This one bite had a little bit of everything from the cold granita to the slight heat of the jalapeno as well as contrasts of salty and sweet. The visual appeal of this dish was outstanding, as was the taste. I don’t typically eat raw tomatoes, but I wanted to experience the course as it was intended, so I tried it. I’m glad I did. 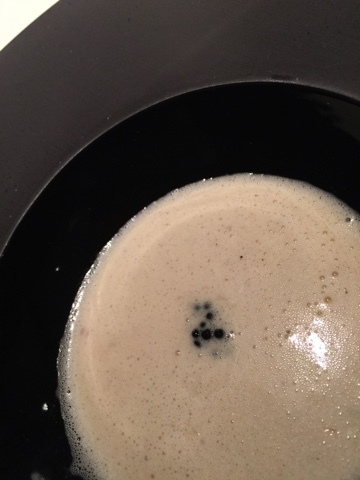 I particularly enjoyed the flavor of the brown butter that hit my palate at the end of the bite. I also really enjoyed the wine with this course. 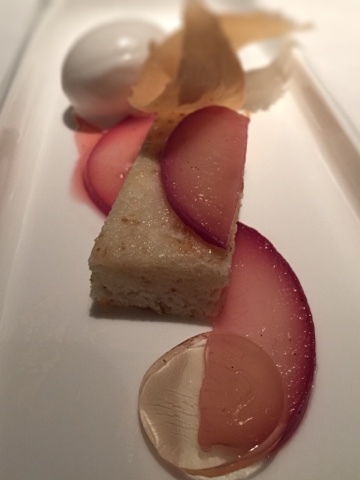 I picked up on a lot of pear notes which complemented the apple in the dish. 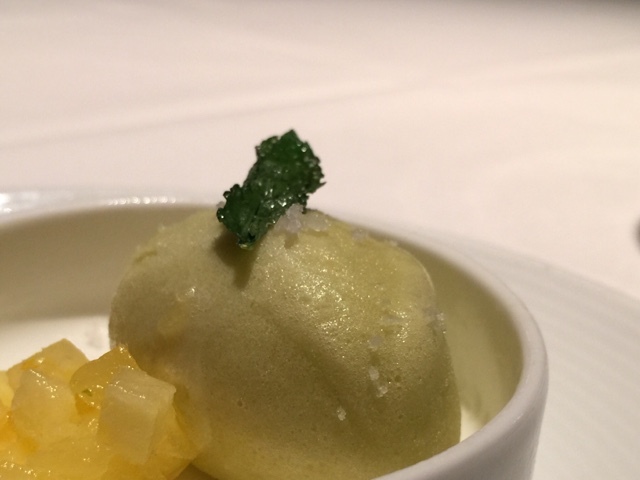 This is Chef Austin’s tribute to Thomas Keller from French Laundry. This was perhaps my favorite course of the evening which came as a surprise to me considering I really don’t care for truffle; however, this was truffle done right. I tried to eat the soup slowly to savor each creamy spoonful, but it was difficult. 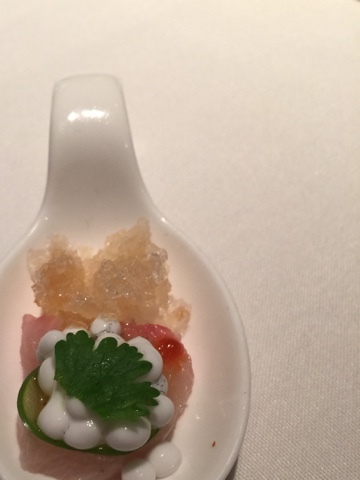 With the first two courses being absolute hits, I didn’t think the third could be a hit as well. I was wrong. 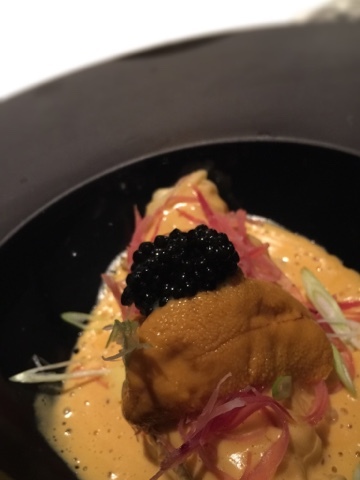 The uni was so creamy and the sweet crab paired nicely with the salty prosciutto. This is a dish I will think about months from now. I enjoyed the Tank 7 with grapefruit on the nose but not a hugely bitter aftertaste. This was perhaps the course I was looking forward to the most, but actually ended up being my least favorite. There was just a lot going on with this dish, and I feel like it could almost be separated into two different dishes. This was definitely the most challenging dish to eat given there were so many elements it was hard to get the balance of each flavor correct. The pork and apple butter went together in their tried-and-true fashion, but I feel the curry was completely obscured by the other strong flavors. This was a very heavy course, and I was already starting to get a bit full. While delicious, I found it to be a bit too fatty for my liking. The grilled brioche left a greasy residue on my fingers, but it tasted very good with the foie, cherry and duck. 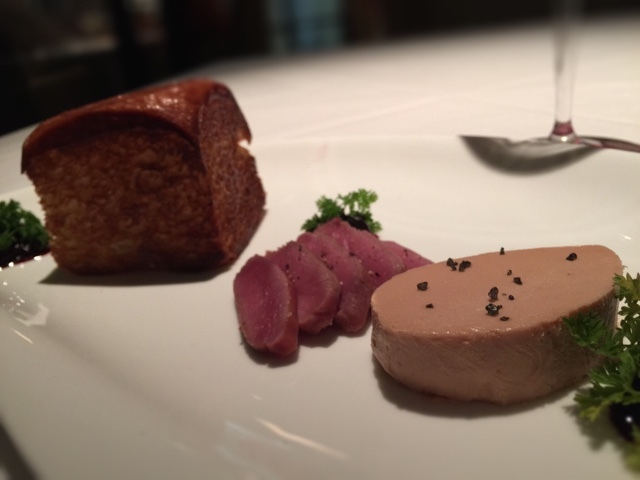 The serving of foie was extremely generous, and I felt guilty for leaving more than half of it on my plate. I also found the smoked duck a bit on the chewy side. I would say the kimchee was Chef Austin’s interpretation because it didn’t fit my kimchee schema. So putting semantics aside, I enjoyed the combination of flavors in this course. The burnt onion wasn’t my favorite, so I found myself only using a very small amount of the generous portion. The combination of the beef and lobster was outstanding as usual, but my dining companion felt her lobster was slightly overcooked. This was a perfect ending to an incredible experience. I think I could have eaten an entire bowl of the sous vide peaches. The sous vide process really brought out the color of the peaches, and they were nicely cooked without being mushy. After the meal, the pastry chef, Nguyet, came out to talk to us for a few minutes about her experience as a pastry chef. I’m impressed with her abilities given she is relatively young, and the same goes for Chef Austin, who also visited our table after our meal was complete. He’s very passionate about what he does, and it was clear after watching him for hours as he prepared our meal, that he is in his element with Cureight. 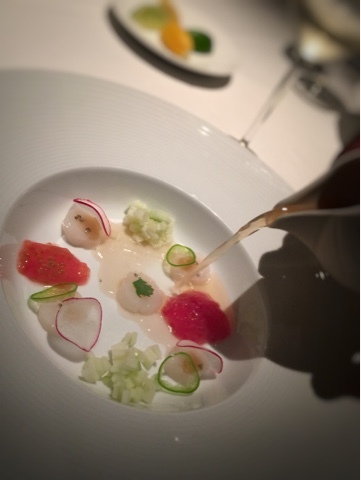 We discussed the possibility of rotating the menu from time to time, and I think that will eventually happen, but to my delight he said the Oyster and Pearl course will always remain. After having a few days to reflect on my experience, I have to say the execution was nearly flawless in terms of service and meal presentation. Sometimes when I’m invited to dine somewhere complimentary, I worry I will be treated differently. I watched and listened to the other diners’ experiences, and I have to say, every table was treated with the same level of service we received. With eight courses there are going to be some you prefer over others. 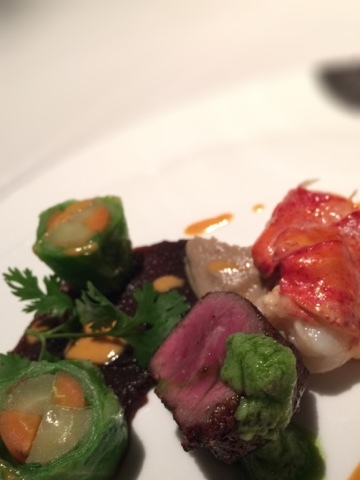 It’s entirely possible you will love the wagyu while it wasn’t my favorite. You’ll have to visit to make that determination for yourself. 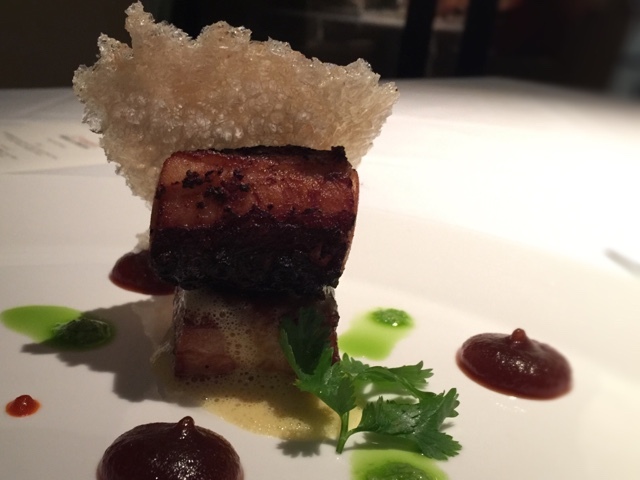 I highly recommend this unique culinary experience, and we are very fortunate to have something like this in The Woodlands. Cureight is reservation-only and is open every Thursday, Friday, and Saturday. 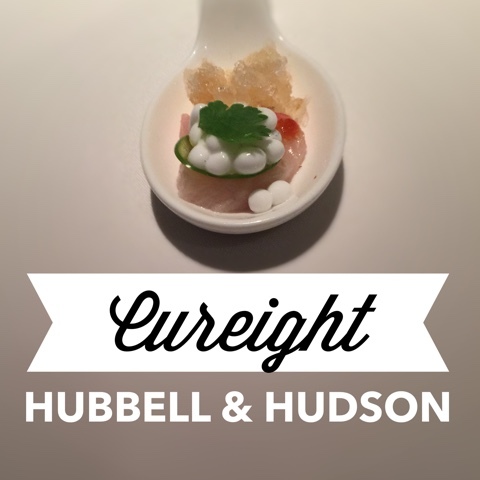 Visit http://hubbellandhudson.com/cureight to place your reservation.